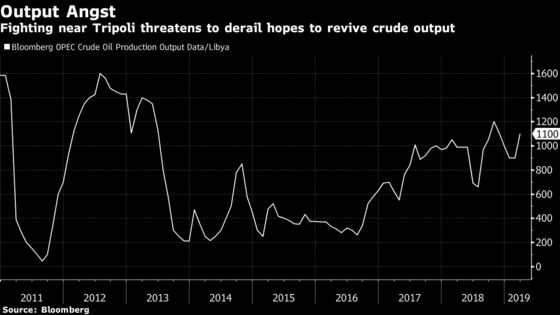 (Bloomberg) -- Fighting on the outskirts of the Libyan capital, Tripoli, forced the postponement of an international peace conference to reconcile feuding factions, in a major blow to UN efforts to heal rifts that are threatening to plunge the OPEC member back into civil war. 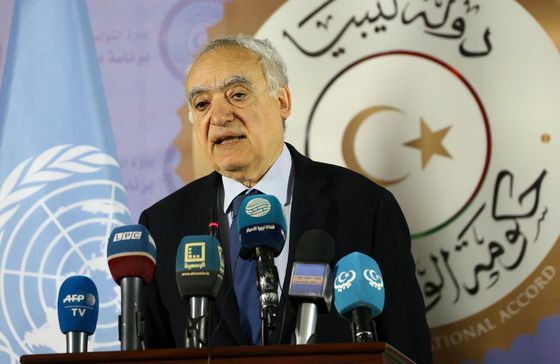 Ghassan Salame, the United Nations envoy who just weeks earlier had triumphantly announced that the meeting would be held on April 14, said it would now be delayed. Forces loyal to eastern military commander Khalifa Haftar have pushed their offensive on Libya’s critical northwestern region in recent days, where they have run into opposition from militias allied with the internationally recognized government of Prime Minister Fayez Al-Sarraj. World powers have called on Haftar to back down or risk tipping the country deep into armed conflict. Libya slipped into chaos after the NATO-assisted removal of Muammar Qaddafi and has been ruled by the two feuding administrations and dozens of regional militias since 2014. The ensuing chaos provided fertile ground for the rise of militants, including those linked to Islamic State. Haftar has already secured much of the country and its oil fields and facilities, after trekking from his eastern stronghold to the south. Tripoli, however, is viewed as the key prize, as it’s home to the state-run National Oil Corp.’s headquarters, as well as the central bank. Analysts have said the warlord could be looking to either strengthen his position at the bargaining table or to secure the funds he need for his forces -- the country’s best organized. Attempting to take Tripoli involves huge risks. The Sarraj government, while not commanding major forces, has the backing of strong and battle-tested militias that have vowed to stand firm against Haftar. There are no signs at the moment of an end to hostilities. 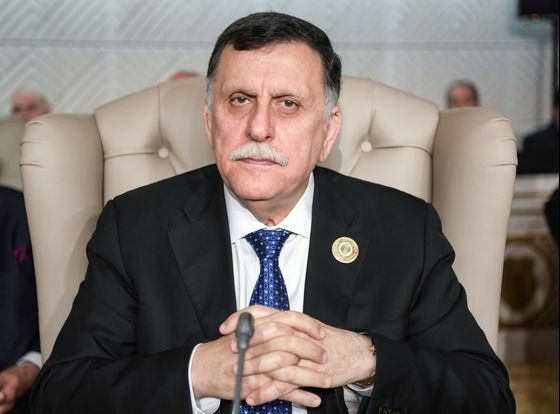 He has ignored the sweeping international condemnation, while Sarraj has ordered the launch of his own offensive, dubbed “Volcano of Anger,” to reclaim territory Haftar controls. The cancellation of the conference, along with strikes by Haftar that have shuttered the capital’s only functioning international airport, are likely to further roil global oil markets. The state-run NOC said in a statement that it had discussed oil security with the companies operating in the country. Brent crude for June settlement fell 22 cents to $70.88 a barrel on the London-based ICE Futures Europe exchange, after gaining 1.1 percent on Monday.